Blue Desire Woman EDT from Police is a light, aquatic fragrance, a tribute to the sea. Its shape and depth is reminiscent of the ocean's waves and colours. The fragrance opens with fresh notes of lemon, green leaves and green apple, which then turns into a heart of blooming jasmine and rosewood. The scent ends of warm base notes of cedar, amber and musk. 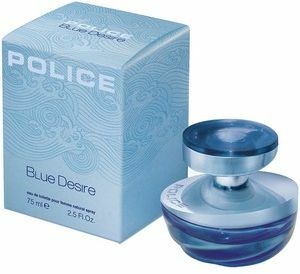 Blue Desire Woman EDT from Police is a light, aquatic fragrance, a tribute to the sea. Its shape and depth is reminiscent of the ocean's waves and colours. The fragrance opens with fresh notes of lemon, green leaves and green apple, which then turns into a heart of blooming jasmine and rosewood.